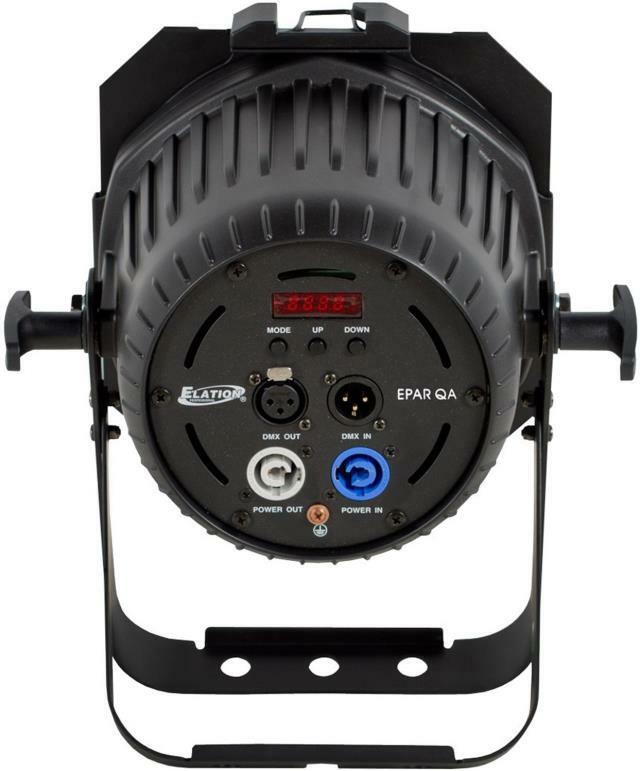 The EPar QA RGB+Amber Quad Par Can from Elation Professional is a powerful DMX intelligent 4-in-1 RGBA LED wash. This unit can be used as a standalone unit, or on a sound-active mode. The Master/Slave function allows you to link units together to run in Master-Slave mode. One unit will act as the controlling unit, and the others will react to the controlling unit's built-in programs. Any unit can act as a Master or as a Slave. However, only one unit can be programmed to act as the Master. 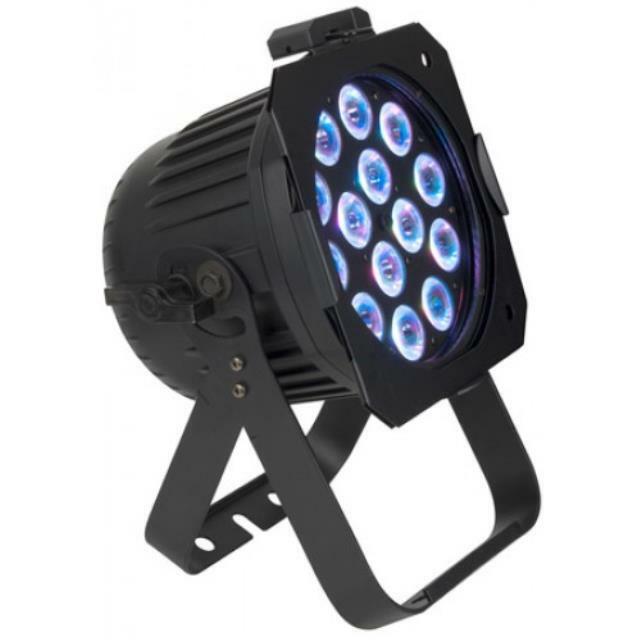 The unit features a built-in microphone, four operating modes, and five dimming curves. 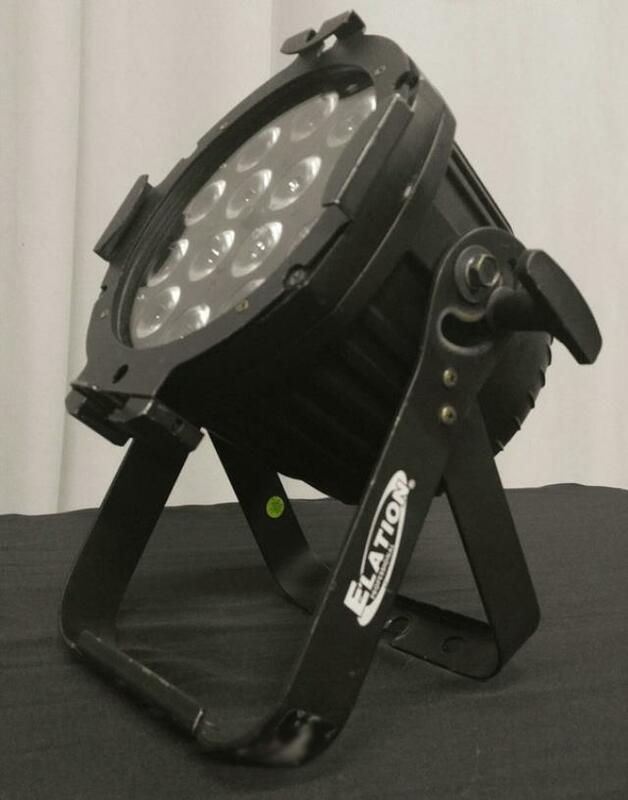 * Please call us for any questions on our epar qa 14 x 5w led par rgba rentals serving Corvallis OR, Albany OR, Salem OR and surrounding areas.